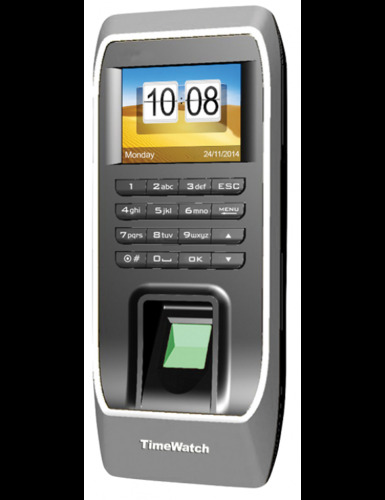 Timewatch BIO-4 Time Attendance, Bio Metric Access Control Terminal. Bio metric Professional Access Control. User Capacity 2,000 (Fingerprint/Password/Card). Machine Log Capacity: 1,60,000. LCD Display Screen 2.4” TFT Color Screen. Bio-metric Communication Interface: TCP/IP, USB. Operating Voltage : 12V/2A. Professional Access Control: Built-In. Optional 24V Relay Output.